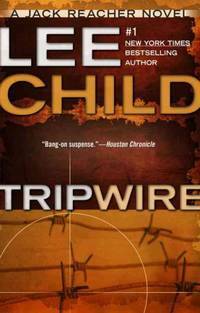 The bestselling novel featuring the "wonderfully epic hero" ( People) who inspired the hit film Jack Reacher. 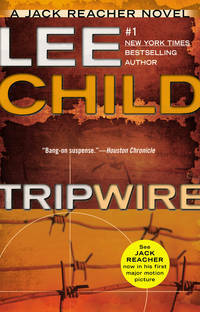 Ex military policeman Jack Reacher is enjoying the lazy anonymity of Key West when a stranger shows up asking for him. He’s got a lot of questions. Reacher does too, especially after the guy turns up dead. The answers lead Reacher on a cold trail back to New York, to the tenuous confidence of an alluring woman, and the dangerous corners of his own past. Berkley. Paperback. POOR. Noticeably used book. Heavy wear to cover. Pages contain marginal notes, underlining, and or highlighting. Possible ex library copy, with all the markings/stickers of that library. Accessories such as CD, codes, toys, and dust jackets may not be included. Penguin Publishing Group, 2012. Paperback. Acceptable. Disclaimer:A readable copy. All pages are intact, and the cover is intact. Pages can include considerable notes-in pen or highlighter-but the notes cannot obscure the text. At ThriftBooks, our motto is: Read More, Spend Less.Dust jacket quality is not guaranteed. Berkley Publishing Group, 2012-12-31. Paperback. New. GREAT Bargain Book Deal - some may have small remainder mark - Ships out by NEXT Business Day - 100% Satisfaction Guarantee! Berkley Trade, 2012. 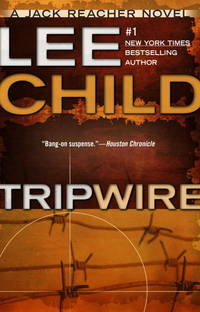 Trade Paperback . Used Good. We carry new and used books in our storefront. We want you to be satisfied with your purchase. Please contact us if you have questions regarding this item. Berkley. PAPERBACK. 0425264394 BRAND NEW, GIFT QUALITY! NOT OVERSTOCKS OR MARKED UP REMAINDERS! DIRECT FROM THE PUBLISHER!|0.65 . New. Berkley Trade, 2012-12-31. Paperback. Good. Berkley. PAPERBACK. 0425264394 *BRAND NEW* Ships Same Day or Next! . New. Berkley. PAPERBACK. 0425264394 *LIKE NEW* Ships Same Day or Next! . Fine. Berkley Pub Group. Reprint. Literature & Fiction. New. 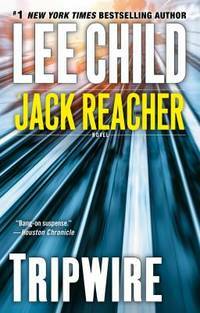 Jack Reacher Brand New: This item is brand new unopened, never used and still in its original manufacturer condition. Berkley. PAPERBACK. 0425264394 Special order direct from the distributor . New. Berkley. PAPERBACK. 0425264394 Like New Condition. . Fine. 2012-02-03. Good. Ships with Tracking Number! INTERNATIONAL WORLDWIDE Shipping available. May not contain Access Codes or Supplements. May be ex-library. Shipping & Handling by region. Buy with confidence, excellent customer service! Berkley, 2012. Paperback. New. 8 x 5.1 cm. Berkley. PAPERBACK. 0425264394 New Condition. . New.